And we're here! Haven't started yet, though -- the masses are still filing in. Nate Ralph will be dutifully handling photo duties for today. And I'm here bringing you all the news from CEO Satya Nadella, OS VP Terry Myerson and the rest of the Windows/MSFT crew that will take the stage this morning. 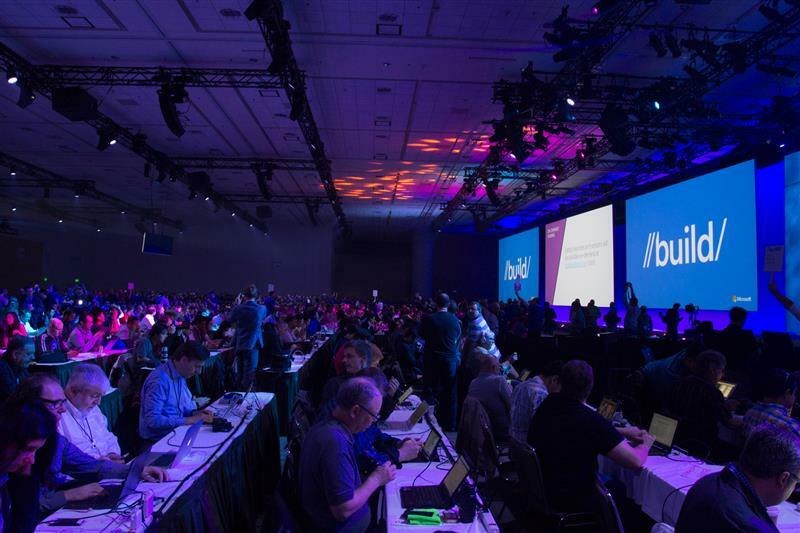 Microsoft has a lot riding on this event, principally whether it can convince developers that Windows 10 is the real deal -- and worth an upgrade. On the news front, we may not see too much beyond some new Win10 features, Office 365 / Azure cloud updates and some much-anticipated HoloLens news. The music has shifted from previously uncomfortably intense electronic music to even MORE intense electronic music. The event is seconds away from starting. CEO Satya Nadella is taking the stage. 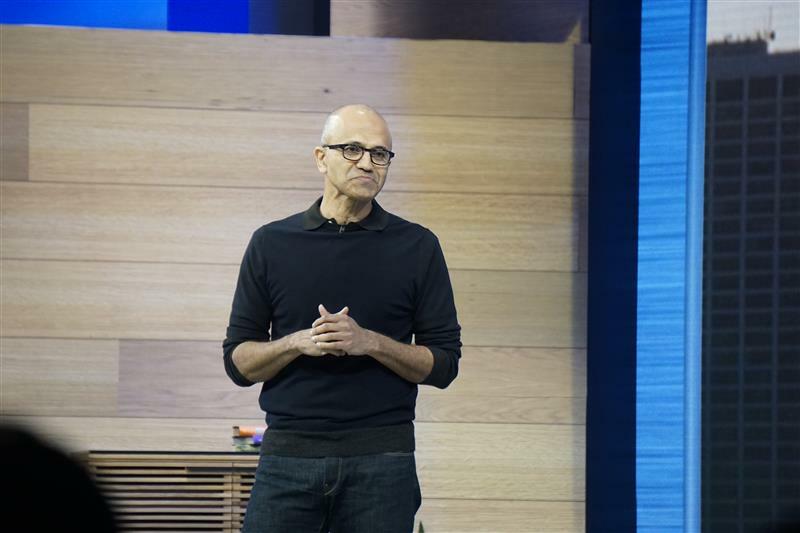 "For me, in some sense, this conference is all about celebrating and challenging the creativity, the ingenuity that you all bring to build new and great things on top of platform innovations we make available to you," Nadella says, diving into the developer pitch. 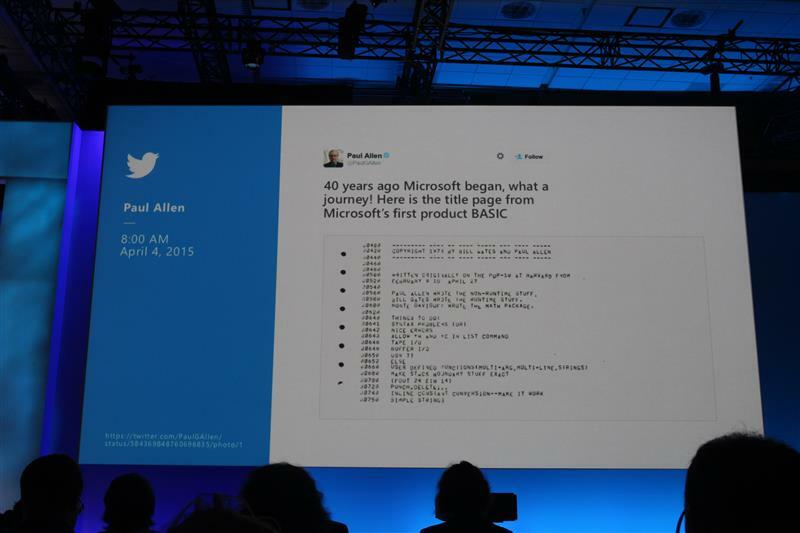 On screen, we have a tweet from Microsoft co-founder Paul Allen from the title page from Microsoft's first product, BASIC. Microsoft is dialing far back to win hearts and minds this morning. 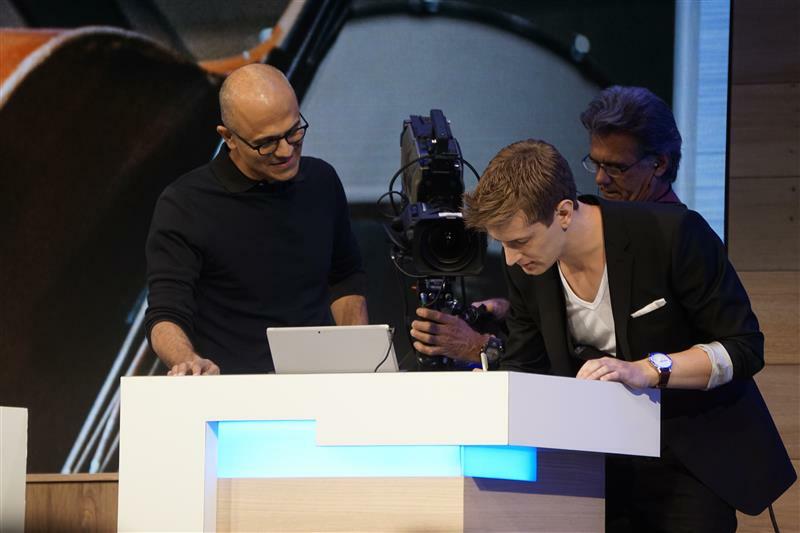 Nadella says Build 2015 is about appealing to developers of all kinds -- VR, "mixed reality," students and app developers. Nadella spinning anecdotes about young developers making apps to detect anemia in children (through selfies!). 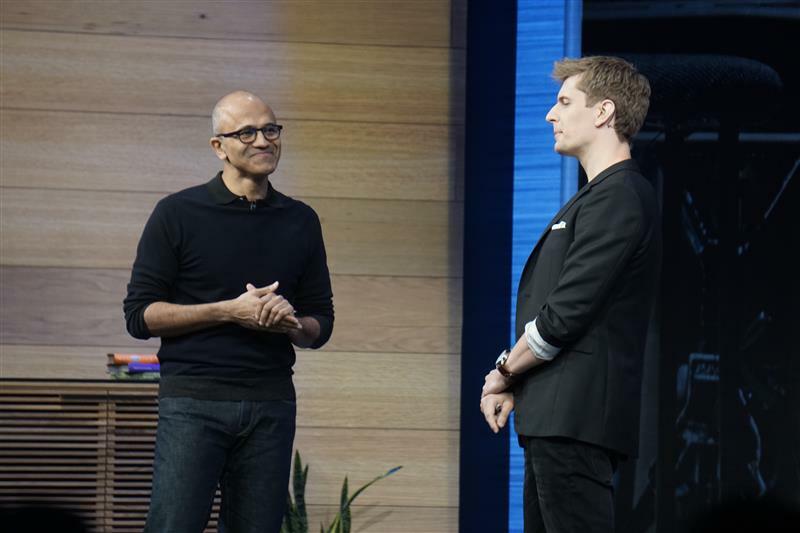 "I thought it perhaps appropriate to kickoff Build by talking to one such developer," Nadella says. It's a musician, who calls himself an "accidental developer." 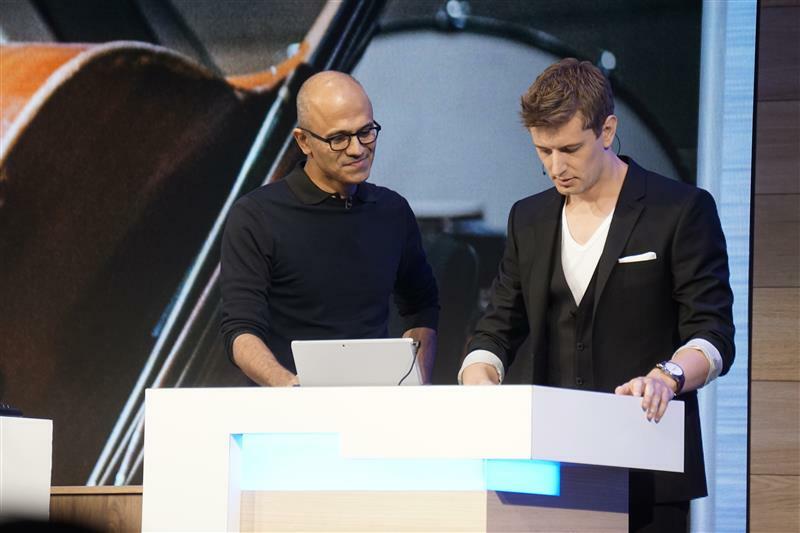 Nadella brings out composer and developer David William Hearn to talk about the bridge between music and programming. 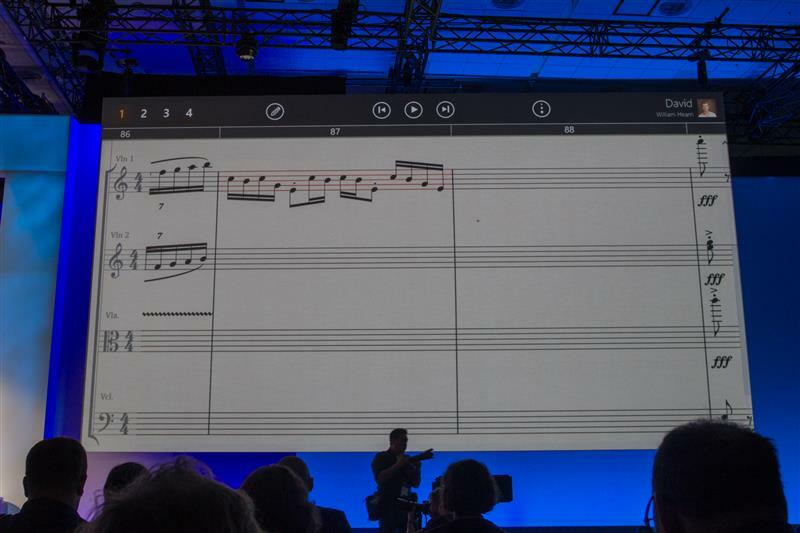 Hearn is the creator of StaffPad, an app for handwriting recognition for music notation. He's giving a live demo now. Hearn showcasing one of Microsoft and its Surface tablet's most unique features with the Surface Pen. Just played a live bar of music he wrote a few moments ago. Looks like Microsoft killed onscreen Twitter notifications for that demo rather quickly. A few intrepid tech journalists managed to get their handles onscreen though. Nadella says this keynote is about three big transformations, starting with Microsoft's cloud platform. "We want the capability to manage infrastructure spanning data centers." "Windows 10 represents a new generation of Windows built for an era for more personal computing, from Raspberry Pi to the holographic computer," Nadella says. "Where the mobility of the experience is what matters, not the mobility of the device." Scott Guthrie, the executive VP of Cloud and Enterprise divisions at Microsoft, is on stage now. Guthrie took over the job after Nadella became chief executive in February 2014. Guthrie says Azure now manages more than 1 million servers and then takes a few digs at Google and Amazon's cloud efforts. Guthrie says Azure has delivered more than 500 new features and releases in the last year since Build 2014. He says there are 90,000 new Azure subscriptions every month. 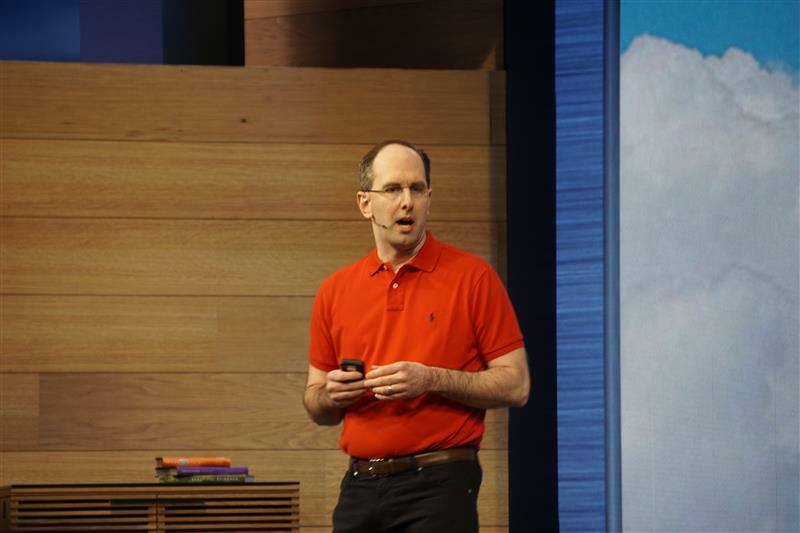 "More than 50 trillion objects [are] now stored in the Azure storage system," Guthrie says. More than 40 percent of Azure revenue now comes from startups, Guthrie says. That's also another dig at the Amazon Web Services platform, which is a popular go-to scaling tool for smaller startups. "We've taken a number of significant steps to use open source even more broadly," Guthrie says. 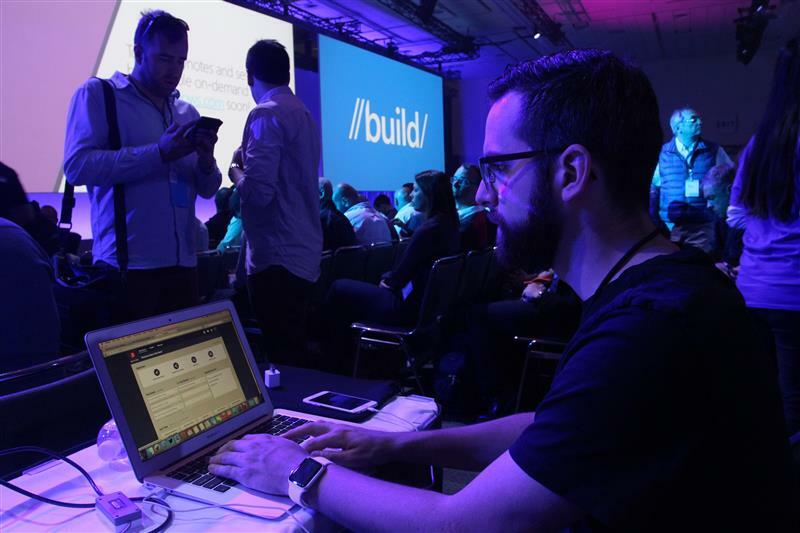 Working more closely with the open source community is one of the more significant shifts we've seen in Microsoft over the course of the last year. Ben Golub, CEO of Docker, is onstage now, marking the first developer appearance. Golub getting a bit in the weeds about cloud computing here. 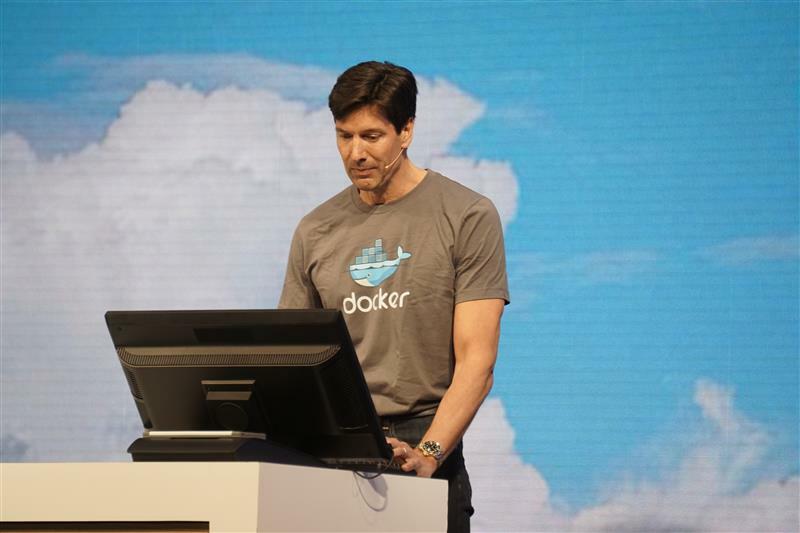 Golub is joined by Mark Russinovich, the CTO of Microsoft Azure. Yep, there's some code onscreen. "We've got two containers active, one of them is a Minecraft server," Russinovich says. Live coding onscreen is so totally Microsoft.